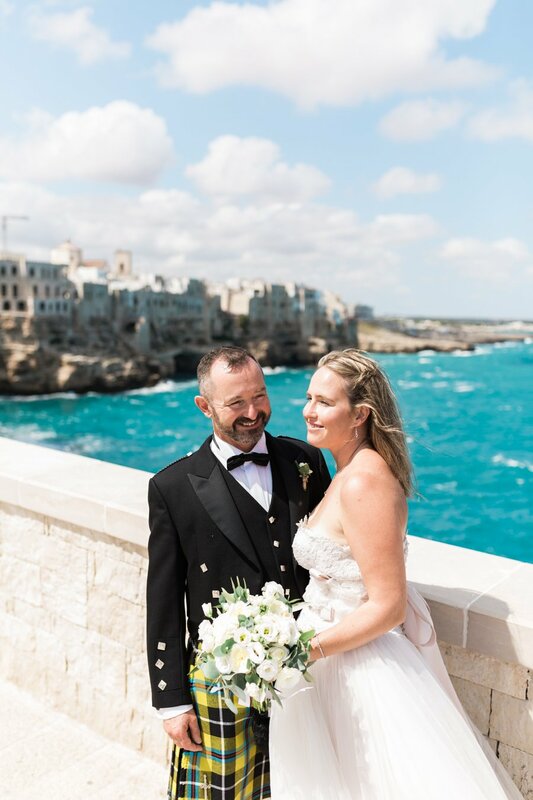 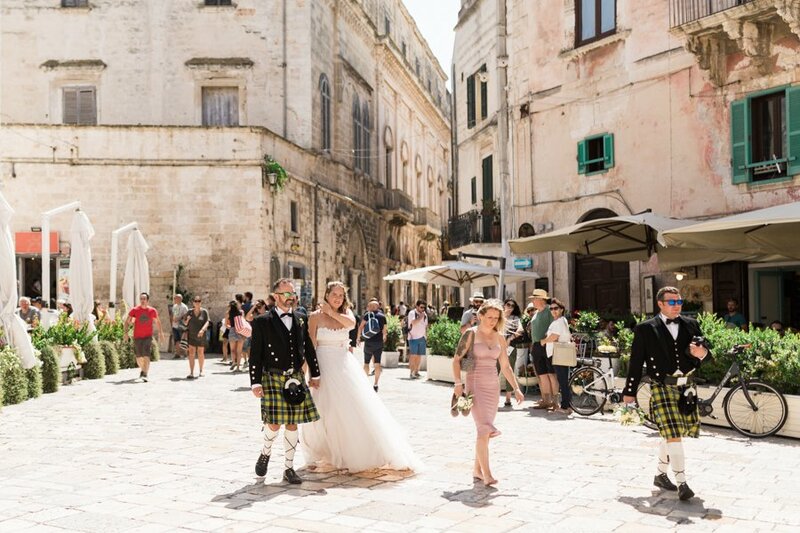 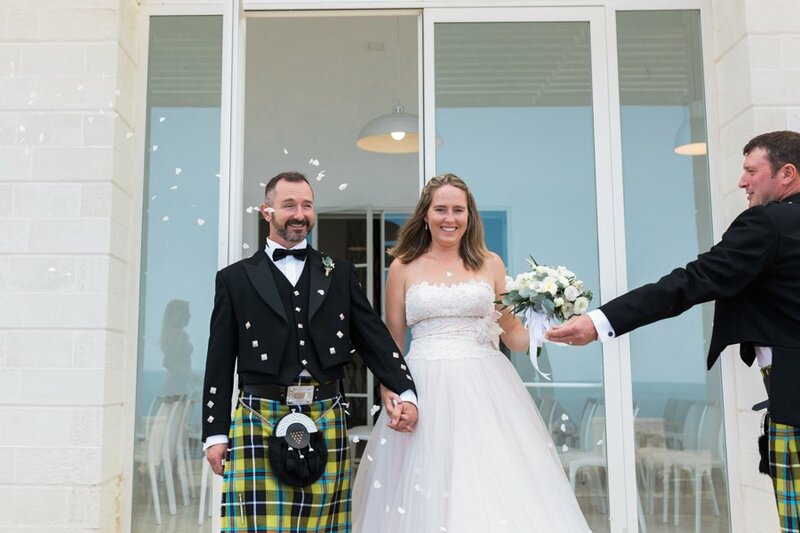 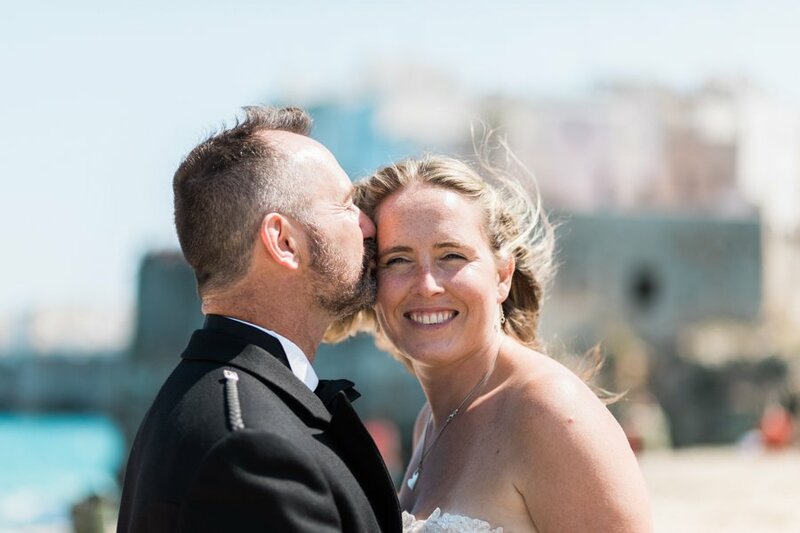 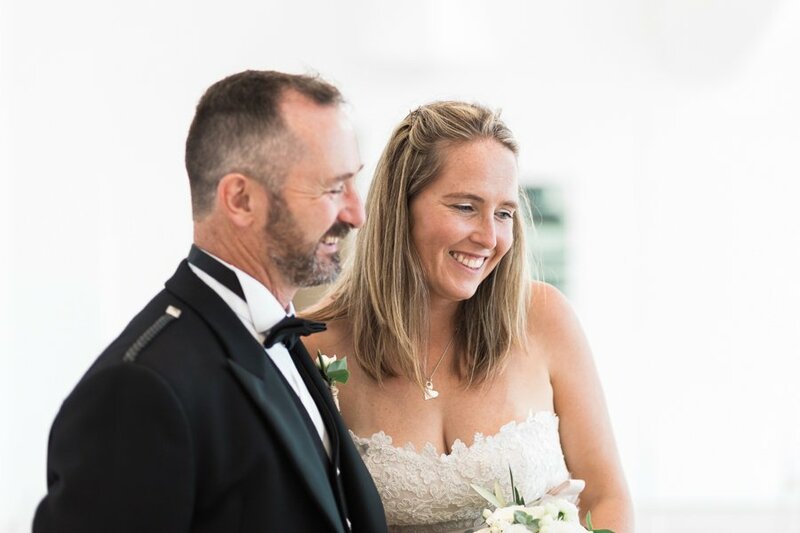 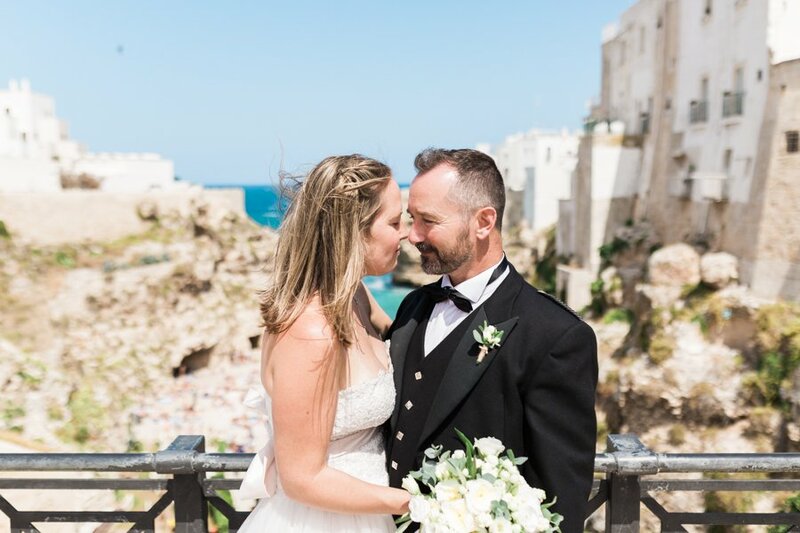 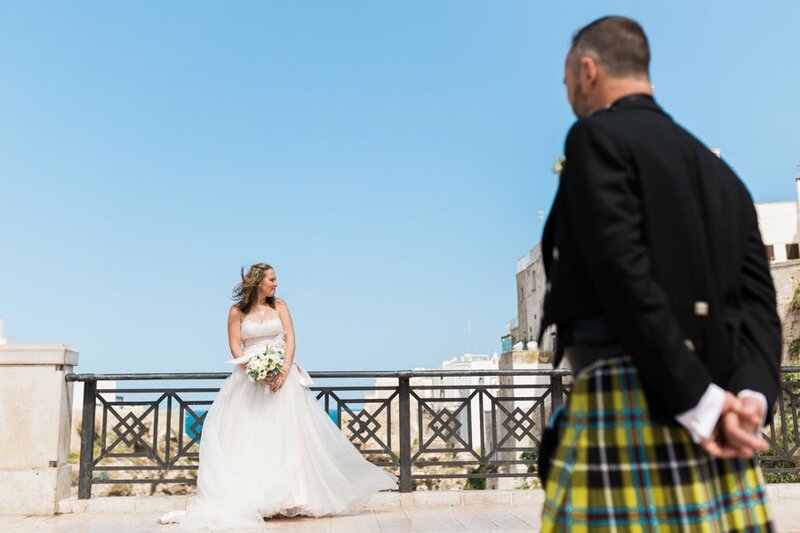 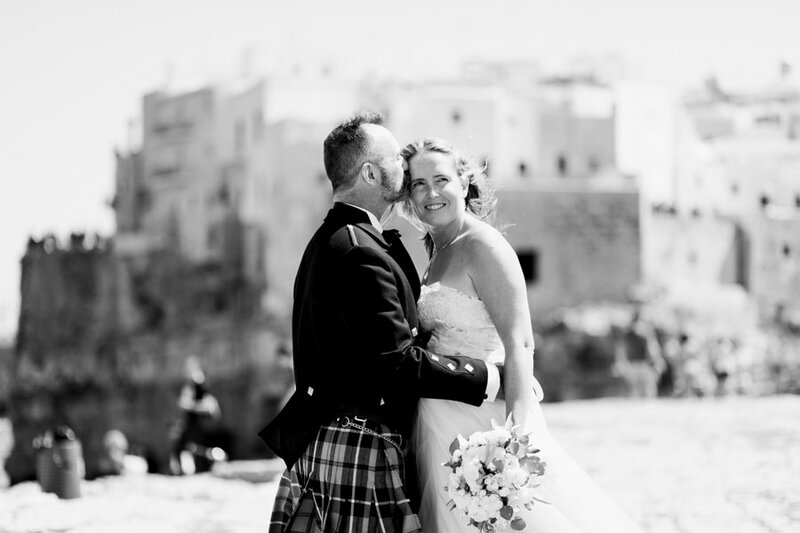 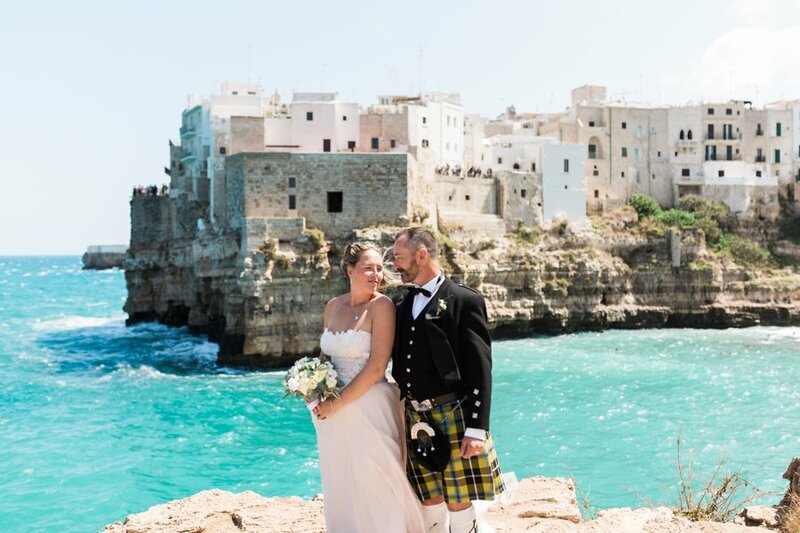 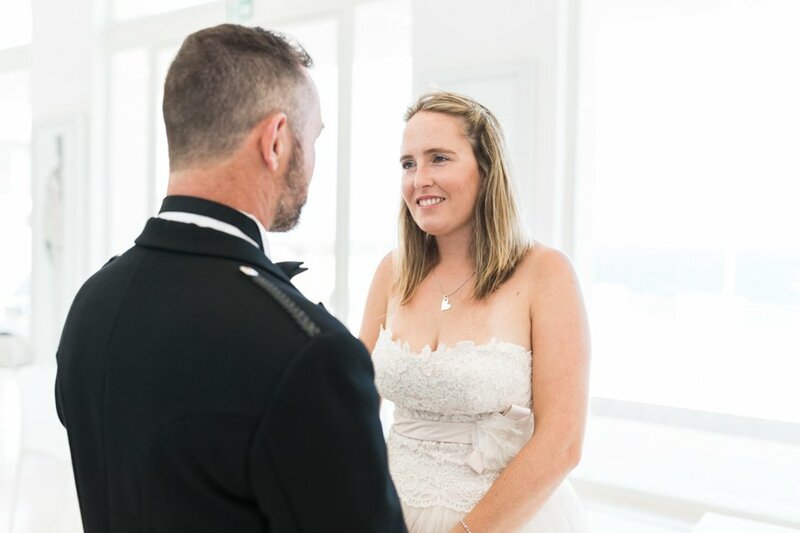 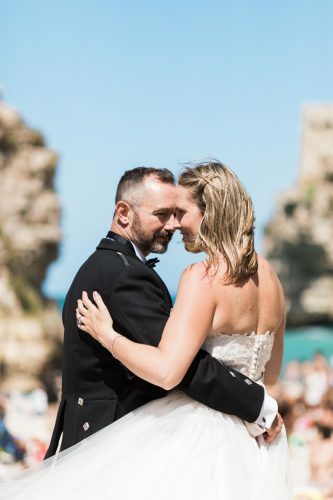 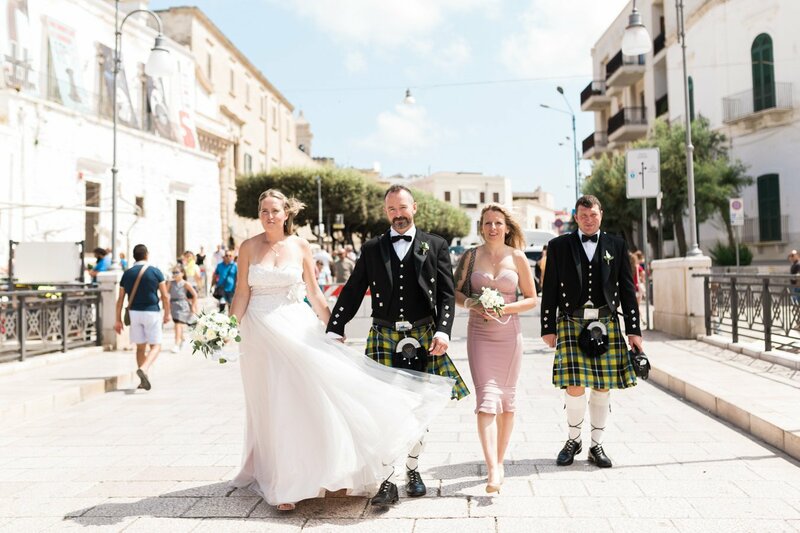 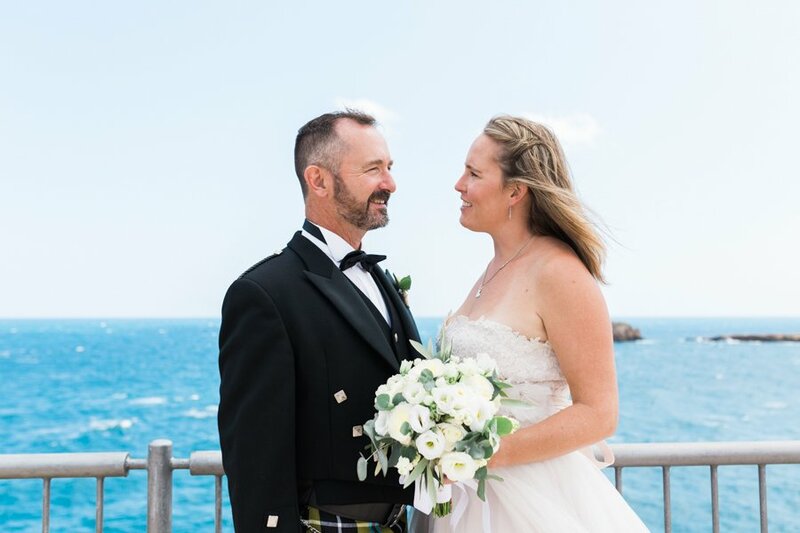 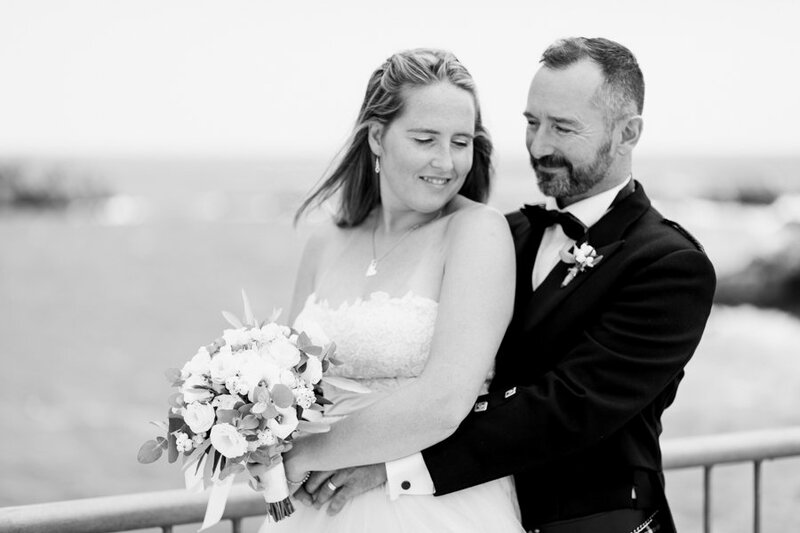 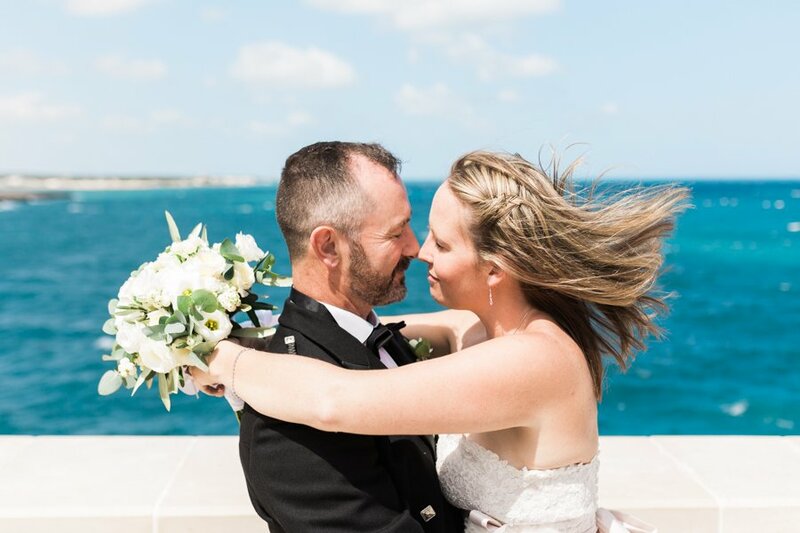 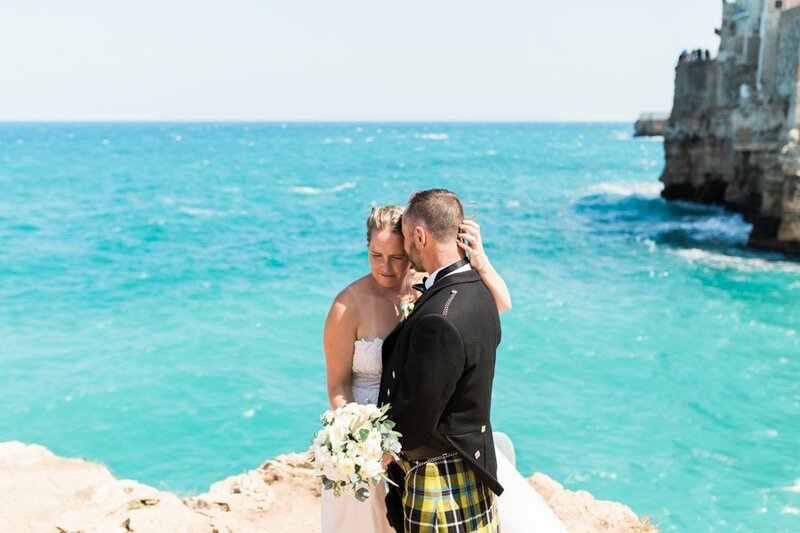 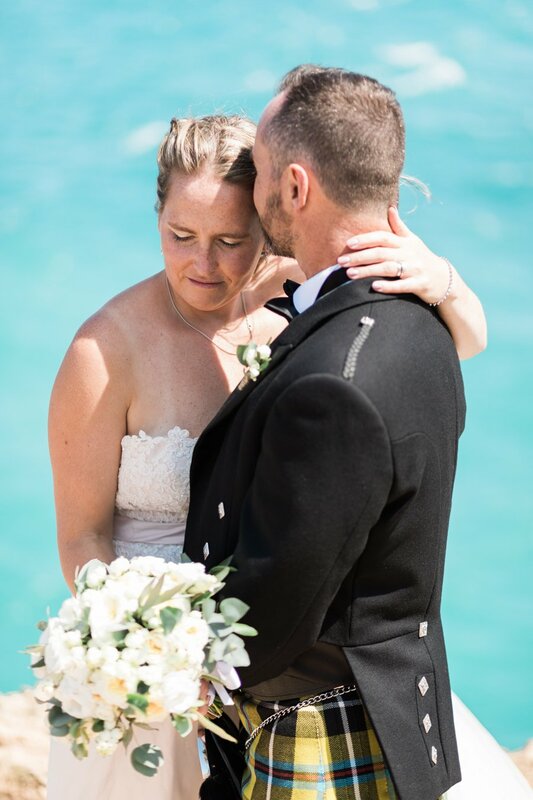 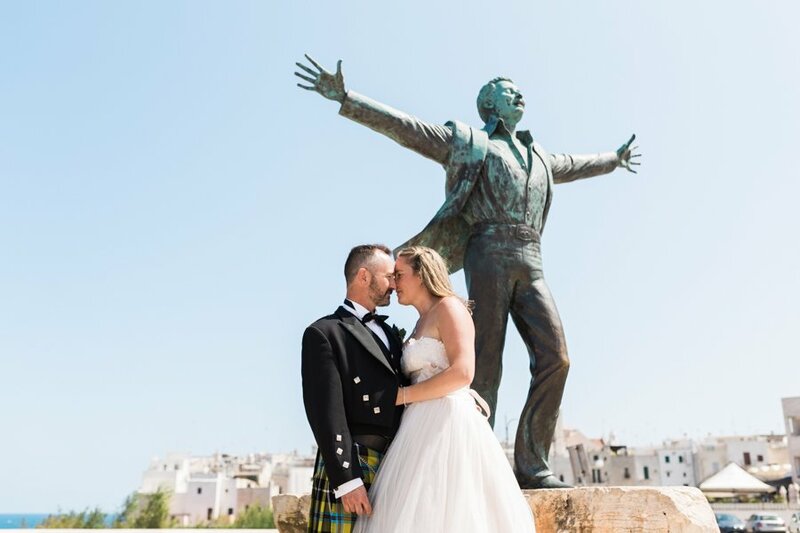 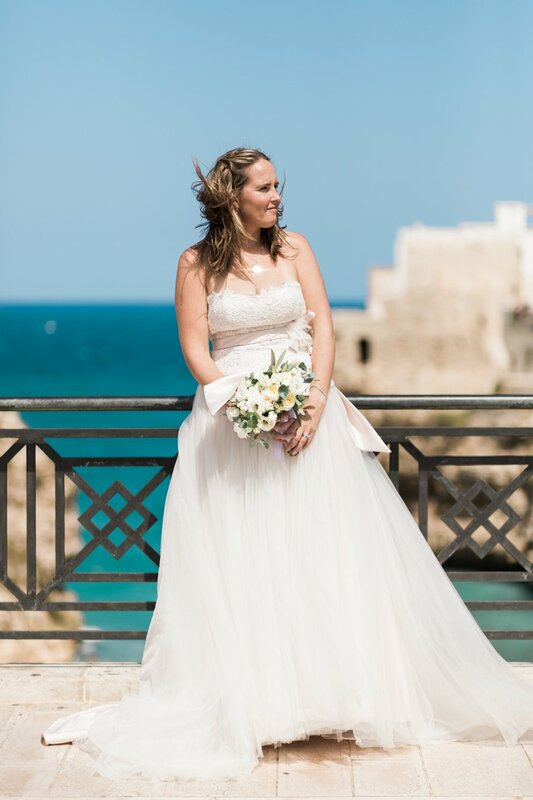 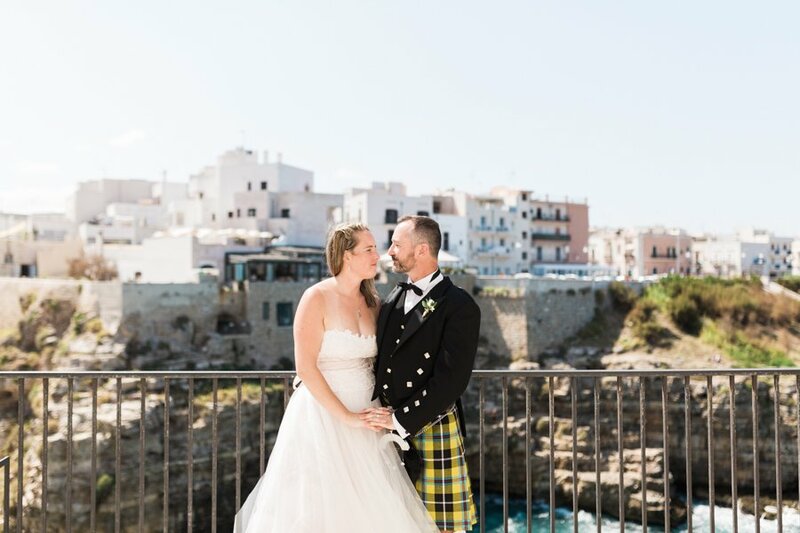 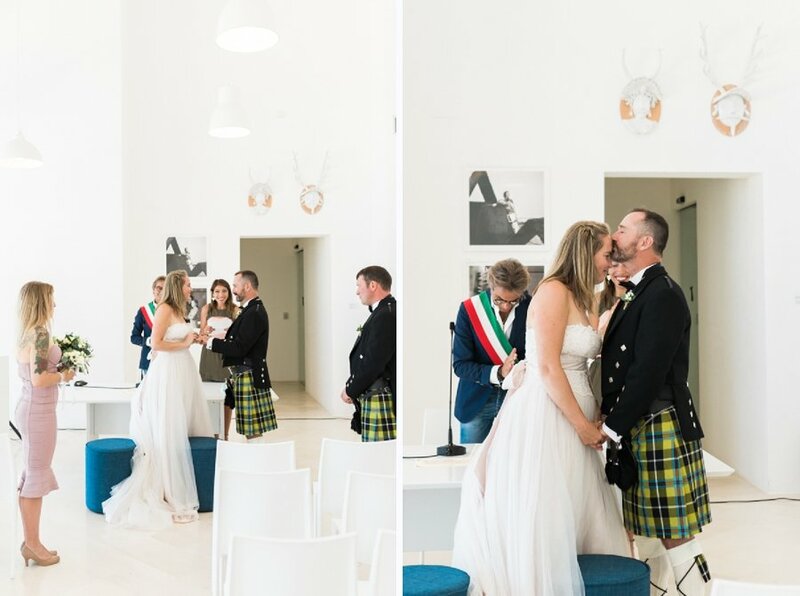 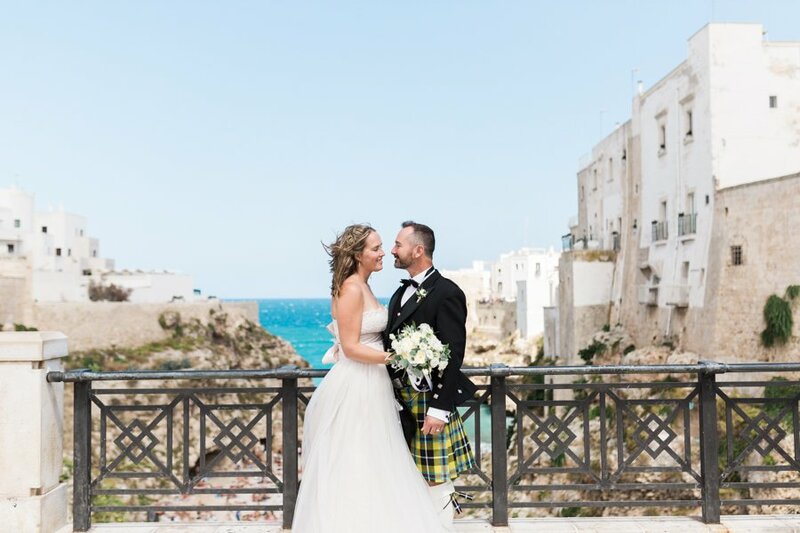 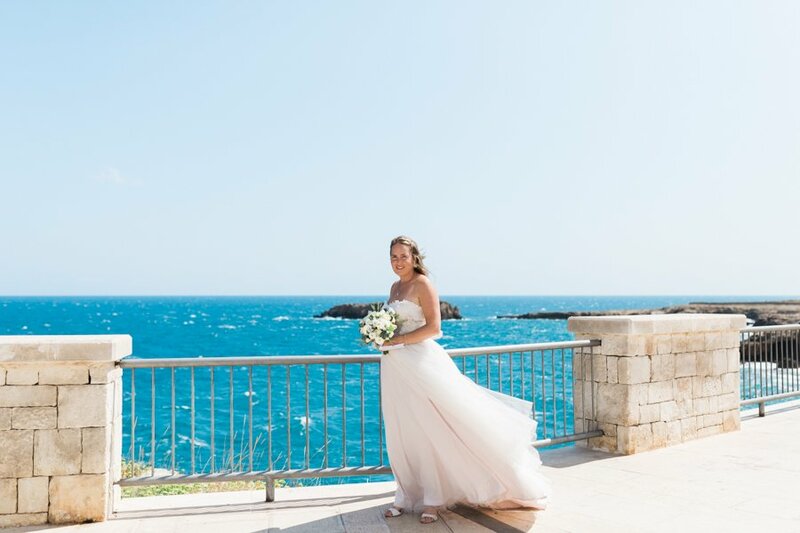 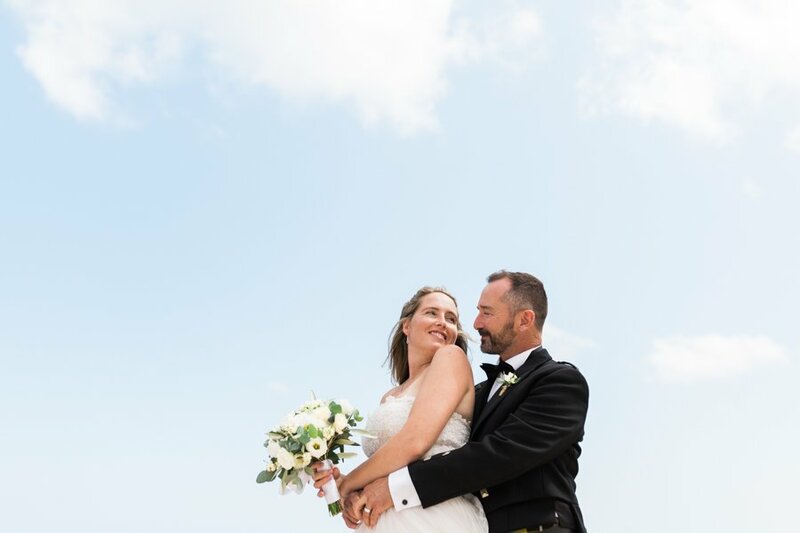 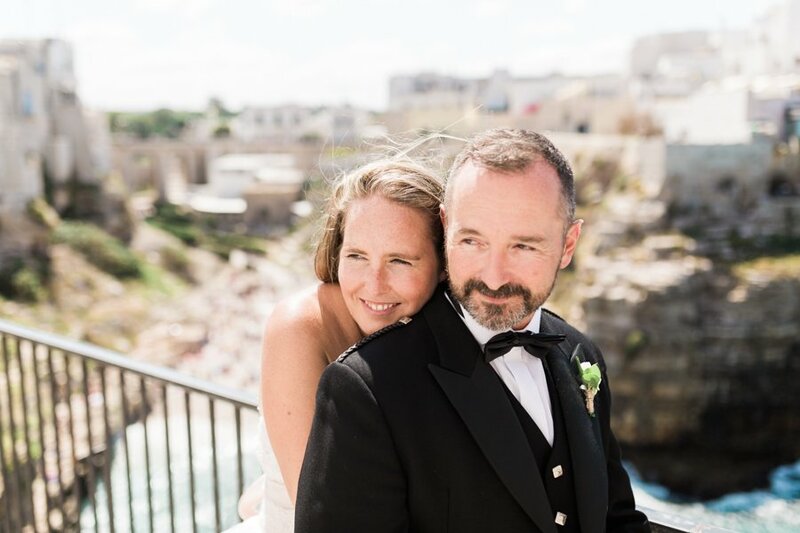 Ellisha and Timothy are a fantastic British couple who chose Polignano a Mare, pearl of Apulia, for a dream elopement. 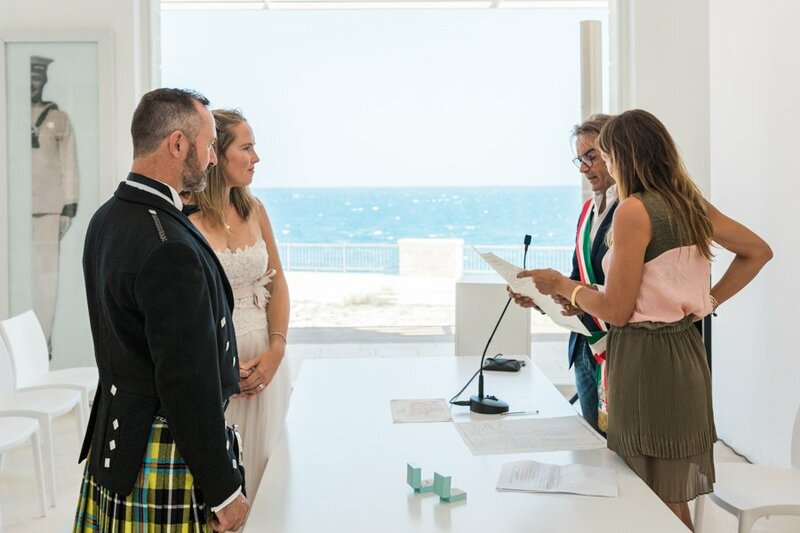 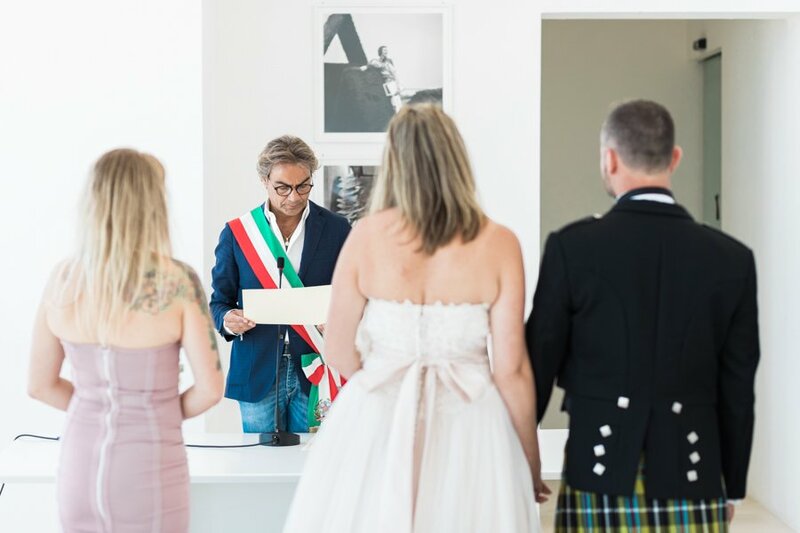 The two spouses have opted for an intimate ceremony, in the presence of the two witnesses, without giving up a characteristic touch. 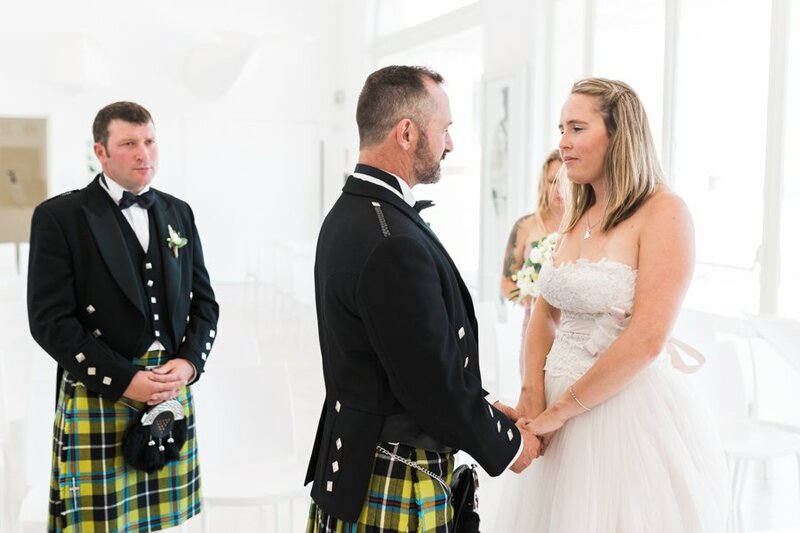 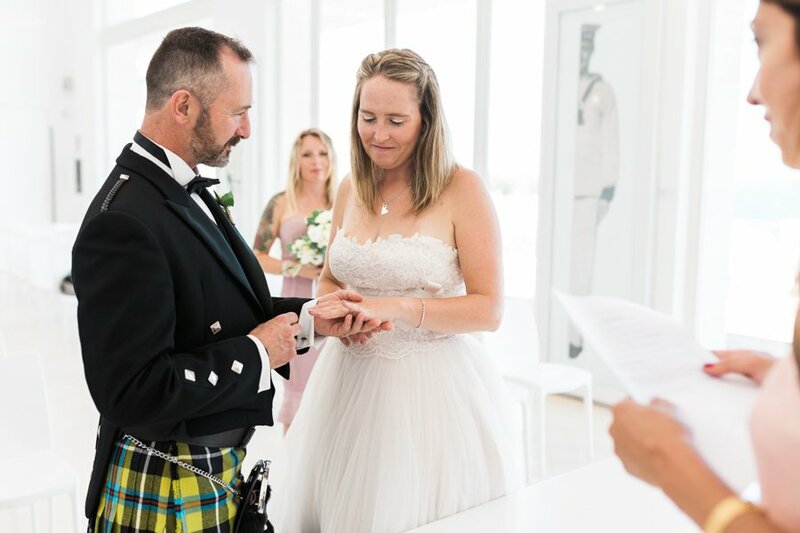 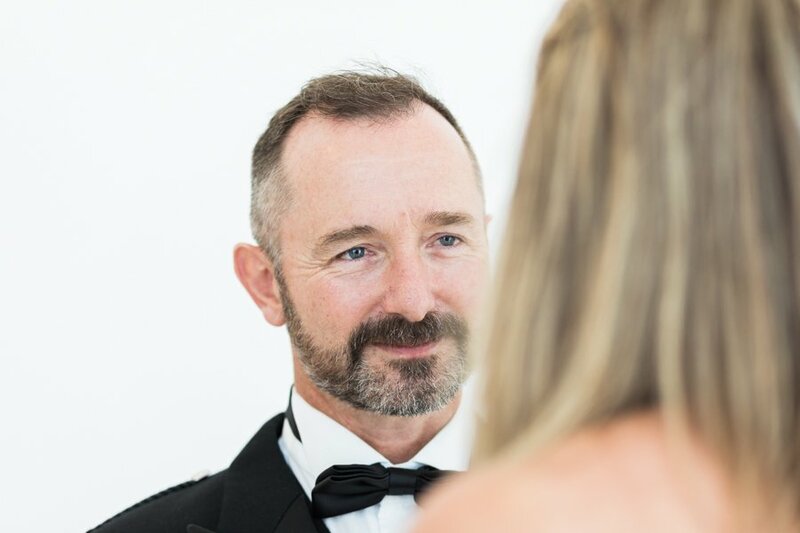 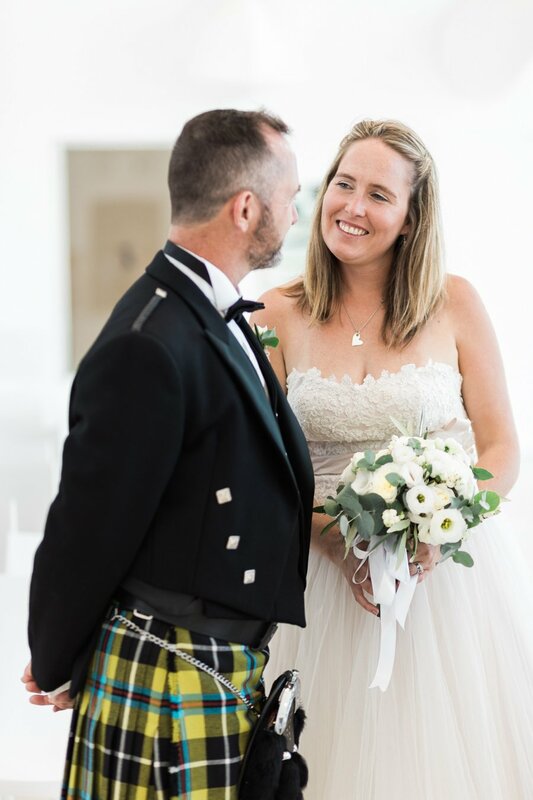 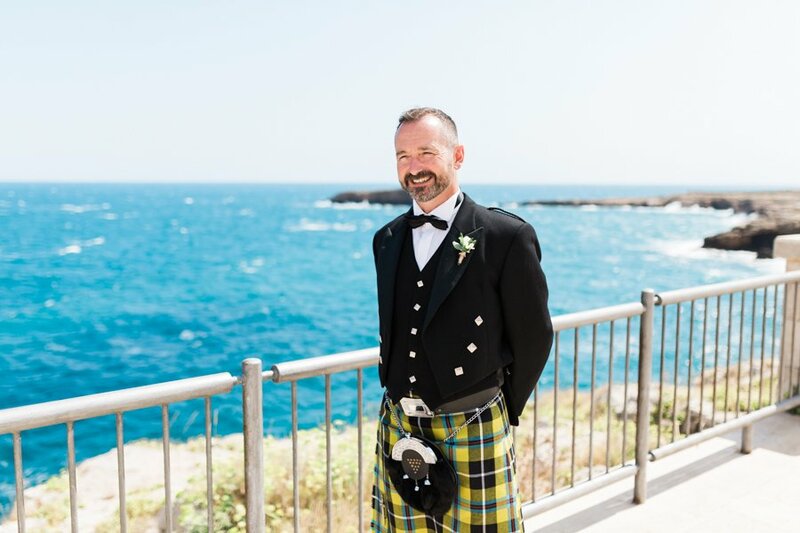 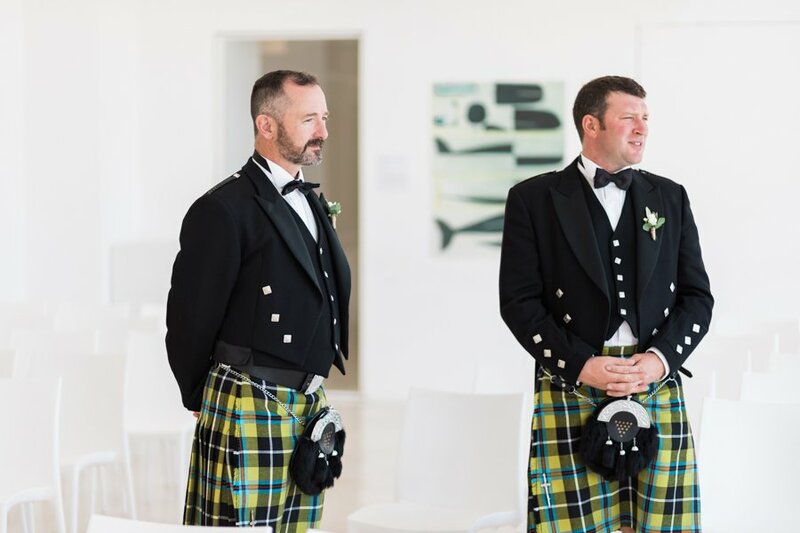 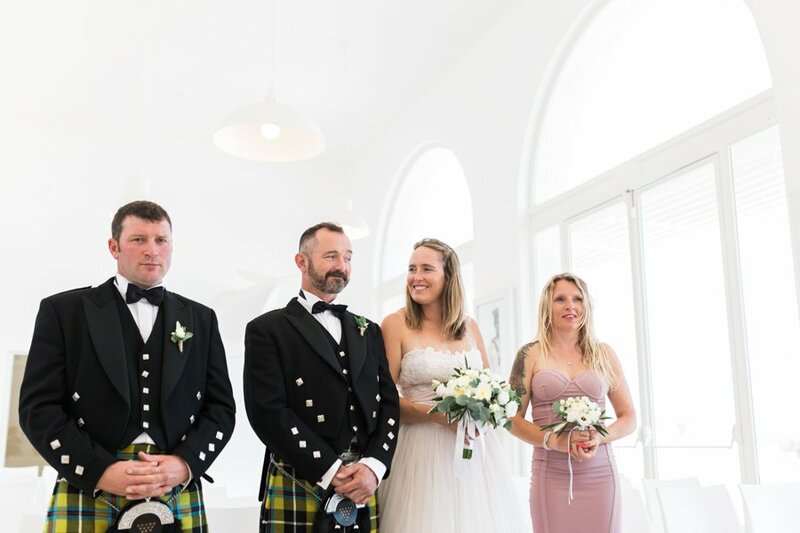 The groom sported the typical Scottish garment, the kilt, as a tribute to his origins. 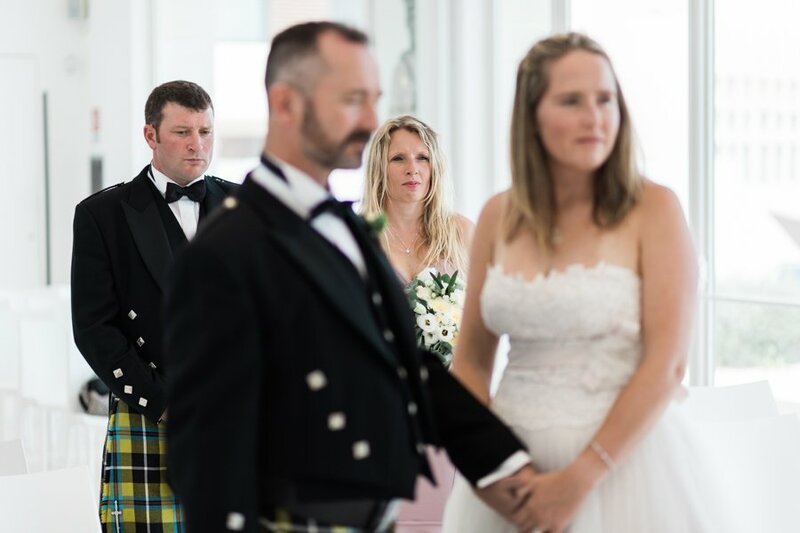 The spouses exchanged promises with a faint voice, each lost in the eye. 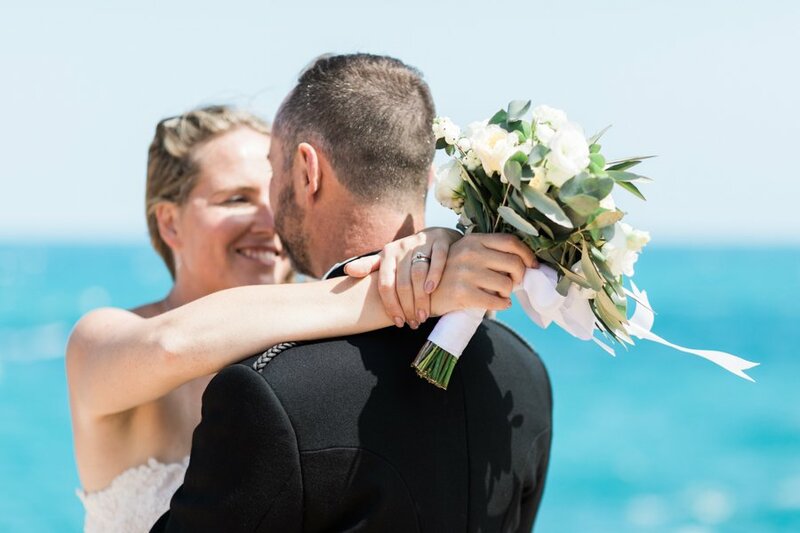 It was the crowning achievement of an elegant and essential ceremony, planned in all the details by HeraEl Wedding Planner. 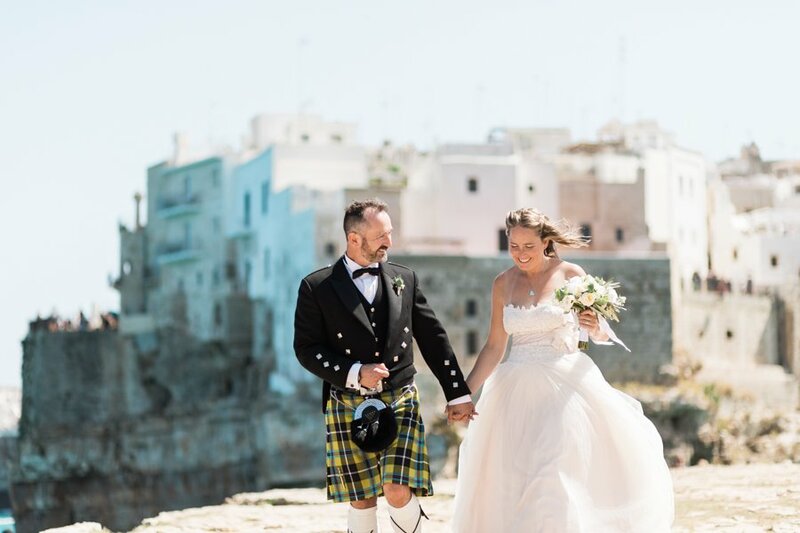 After pronouncing their “yes”, the two took a walk through the streets of Polignano and along the promenade. 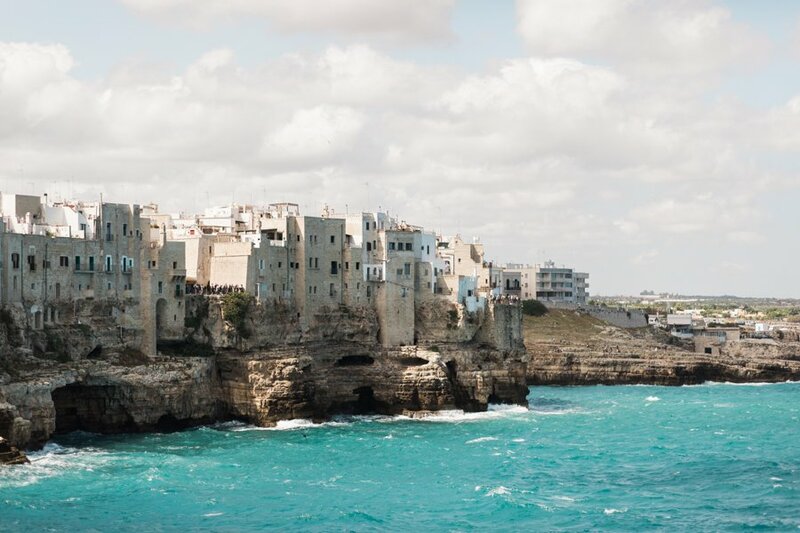 Impossible to resist the charm of the town. 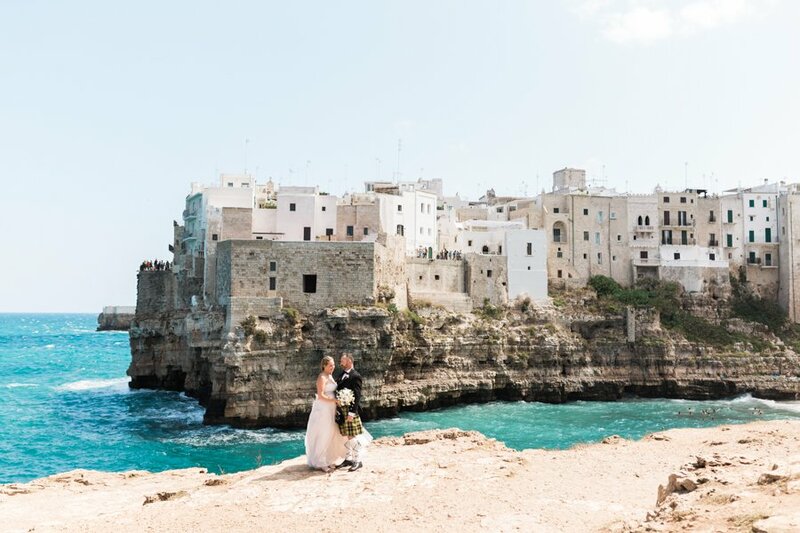 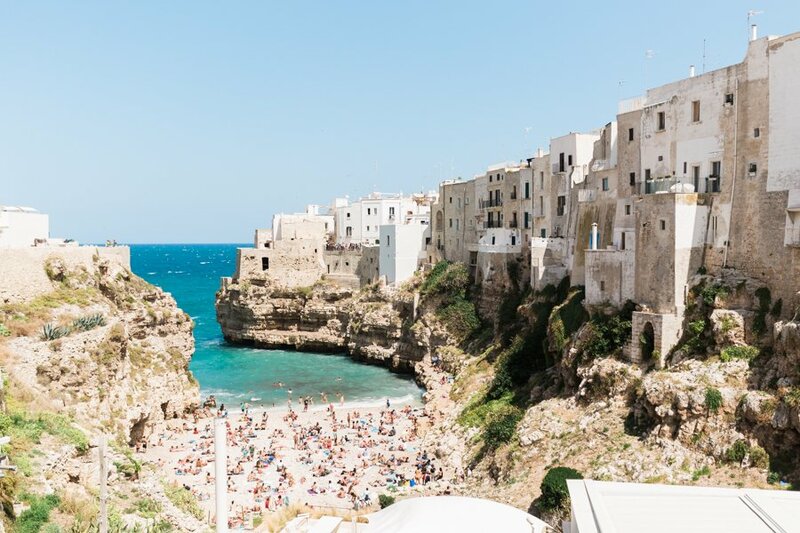 Polignano shone in all its beauty, flooding the beaches, the terraces, the alleyways, and wrapping Ellisha and Timothy in its warmth. 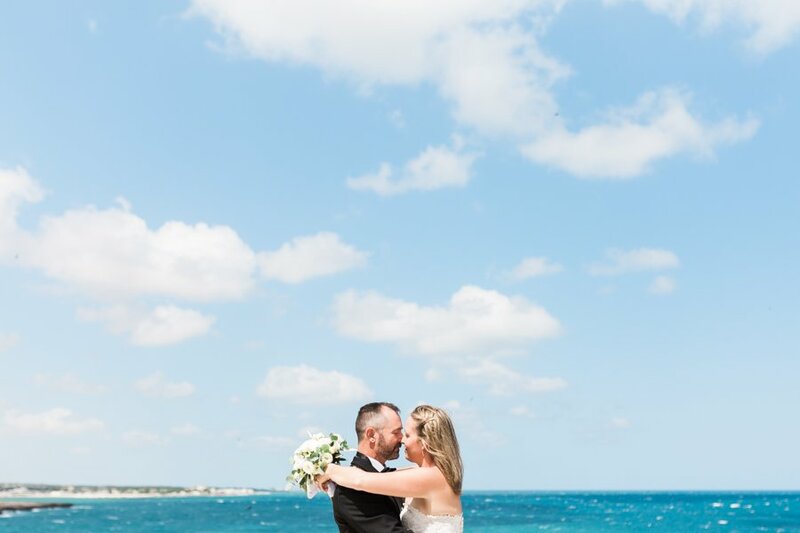 A beautiful day, full of emotions and beauty. 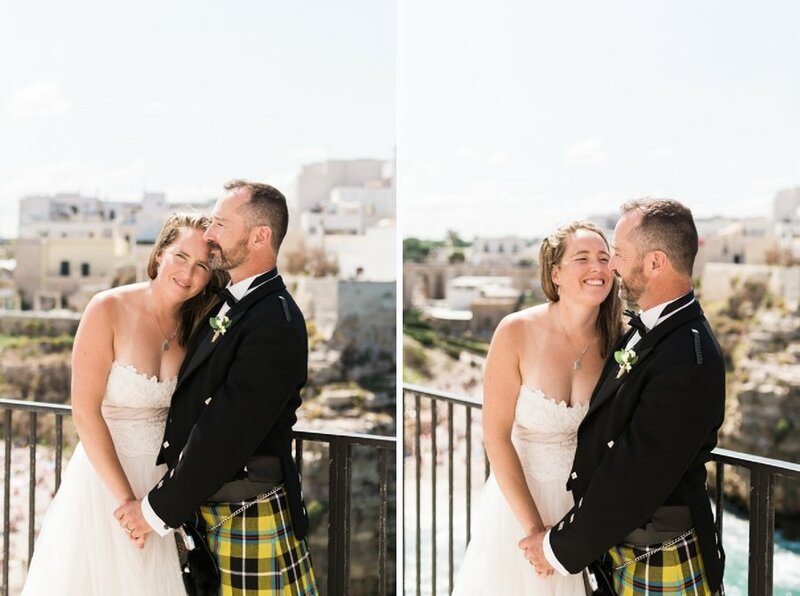 I’m glad I could have told you!